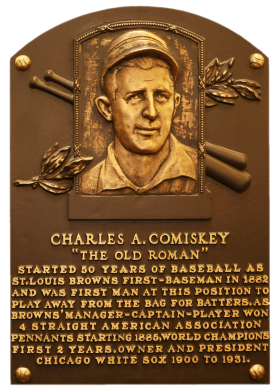 Charles Comiskey parlayed modest field success into managerial brilliance, later becoming the first former player to be sole owner of a major league franchise. The "Old Roman" assisted Ban Johnson in the formation of the American League. 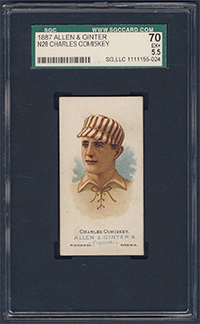 As owner of the Chicago White Sox, Comiskey earned a reputation as a cheapskate, and some historians feel that his parsimonious spending habits indirectly led to the 1919 "Black Sox" scandal. Comments: I picked up a couple tribute cards of Comiskey - a 1984 Renata Galasso Deckle Edge card and a 1976 Shakey's Pizza card in April, 2003 off eBay. In November, the Comiskey was sent to PSA and graded NM-MT 8. 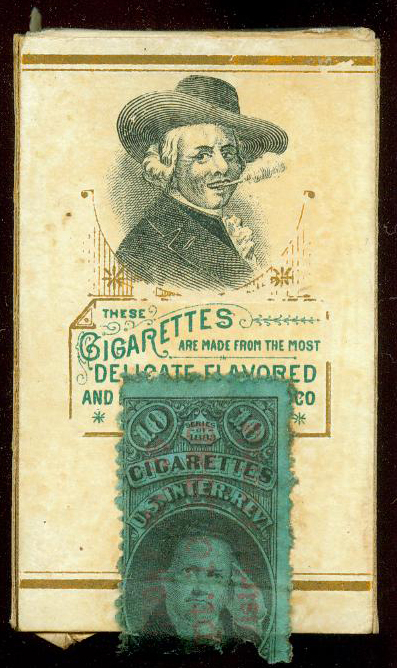 In March, 2010 I replaced the tribute card with a 1887 N28 SGC 50 card after winning an eBay auction from Joseph Esposito (b-e-collectibles). I'd like to upgrade this one to an EX or EX-MT example. I submitted the bid with three seconds to go and winner, winner, chicken dinner, whatacard-you’re the winner! UPDATE: Was following the Heritage Auction ending 08/27/2016 and a PSA 8 closed for $33,460 with juice - incredible! Here's the auction link. 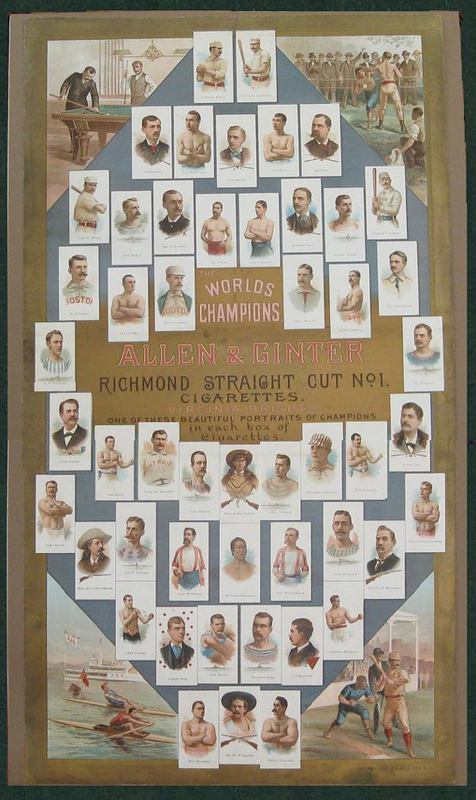 Description: This 50-card set was titled "The World Champions" and includes 10 baseball players, and 40 other sports personalities such as John L. Sullivan and Buffalo Bill Cody. 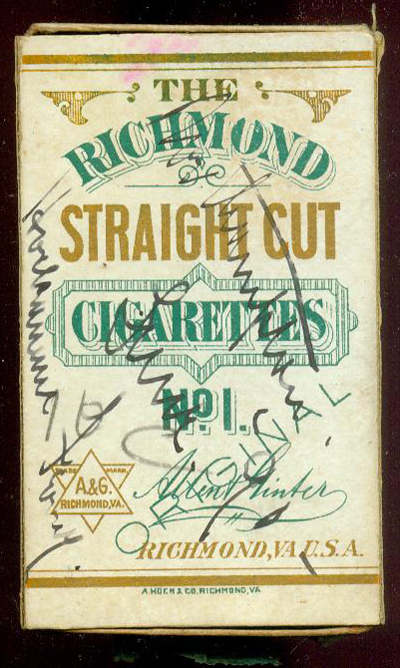 The approximately 1-12" X 2-3/4" cards were inserted in boxes of Allen & Ginter cigarettes. 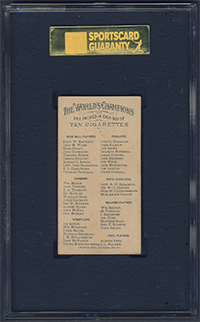 The card fronts are lithographs on white card stock, and are considered among the most attractive cards ever produced. 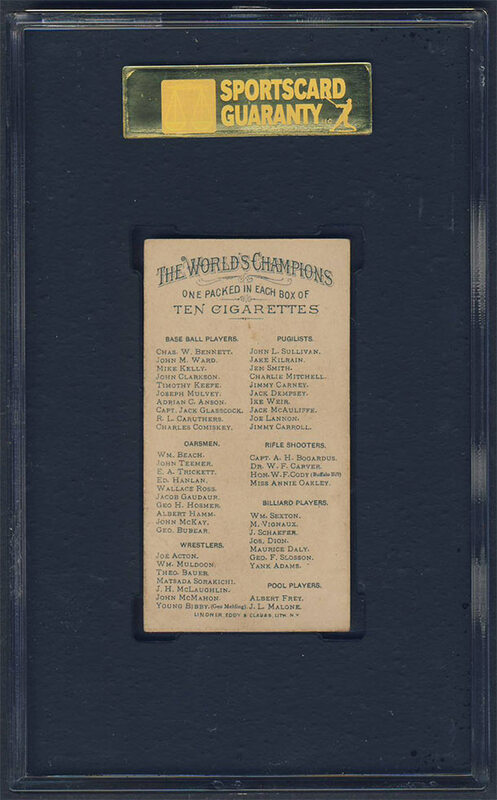 All card backs have a complete checklist for this unnumbered set, which includes six eventual Hall of Famers.